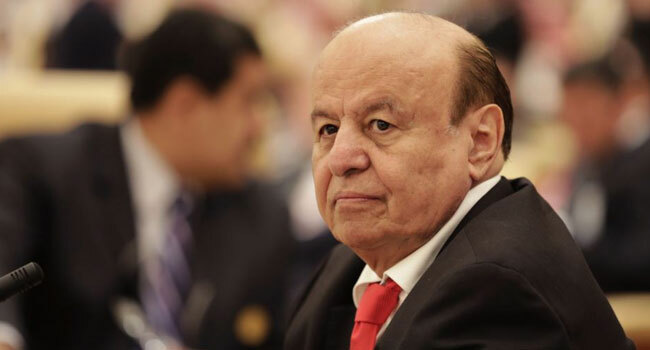 Yemeni President Abedrabbo Mansour Hadi, whose country is gripped by a devastating civil conflict, will undergo medical tests in the United States later this month, a minister said Monday. Information Minister Moammer al-Eryani said in a tweet that Hadi will be traveling to the US to attend the UN General Assembly, which opens on September 18 in New York. “He will undergo medical examinations while there,” Eryani tweeted, without providing further details on the nature of the tests that the Yemeni president is expected to undertake. Hadi, 73, who has lived in exile in Riyadh since 2015, on Sunday, chaired a cabinet session in the Saudi capital. There have been no reports that Hadi has been ill. Backed by Saudi Arabia and its allies, Hadi’s government has battled Iran-backed Huthi Shiite rebels for more than three years in what is widely seen as a proxy war between Riyadh and Tehran. The UN recognizes the administration of Hadi as the legitimate government of Yemen. The world body has invited Yemen’s warring parties to hold peace talks in Geneva from Thursday. Both the government and rebels have said they do not expect any breakthrough at the talks, the first since UN-backed negotiations broke down in 2016. Yemen’s foreign minister has ruled out face-to-face meetings between the delegations. In 2014, the Huthis overran the capital, driving out the Hadi government and setting up a parallel government in Sanaa. Saudi Arabia and its allies joined the government’s fight against the Huthis in 2015, triggering what the UN has called the world’s worst humanitarian crisis. More than 10,000 people have since been killed and the country now stands at the brink of famine.